In this final film, we see Bruce Wayne begin in a city which no longer needs him, and tracks his struggle to come to terms with his new situation. As ever, the story is well thought out and well written, and the script allows the many stars in this film to really get their teeth into the roles. There are lots of big names in The Dark Knight Rises, Gary Oldman (Tinker Tailor Soldier Spy, Leon), Tom Hardy (Inception, Layer Cake), Joseph Gordon-Levitt (Looper, Inception), Marion Cotillard, Anne Hathaway, Morgan Freeman and Michael Caine, among others. 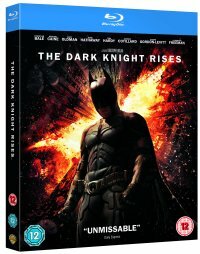 The Dark Knight Trilogy has been directed by Christopher Nolan (Inception) and included on the disc is a short feature by him ; The Journey of Bruce Wayne. This is one to watch, I would recommend it to everybody. What more can I say? Go out and buy it!